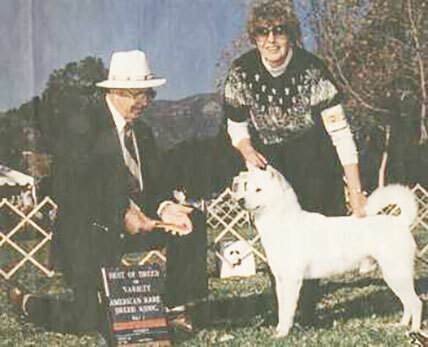 Kishu Ken-nel is the Foundation Breeder in the United States. He would be pure white. He would be born virtually housebroken. He would be an excellent hunter. He would be named Kishu Ken. Kishu Ken Breeder Carleen Newman accepts the award as Champion Dairyu Go Toyohashi Fujiwara Kensha is named the first Kishu Ken Champion in the United States by the American Rare Breed Association. Kishu Ken-nel is the Foundation Breeder of the KishuKen in the United States since 1993. 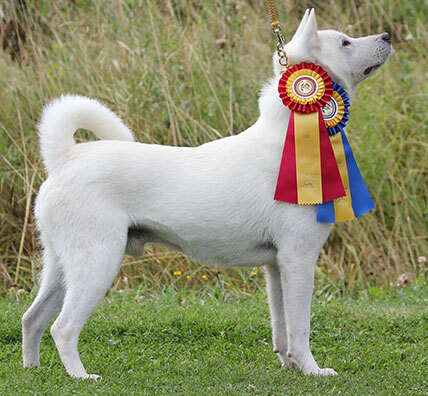 Kishu Ken-nel dogs have International and American championships and numerous Performance titles in obedience, agility and other performance events.